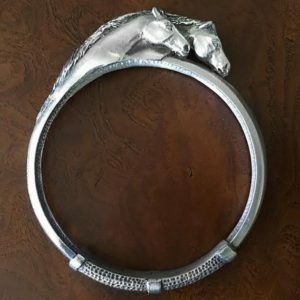 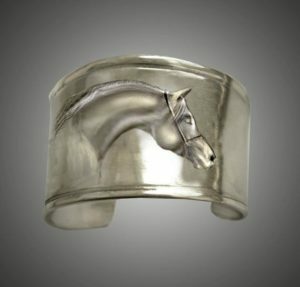 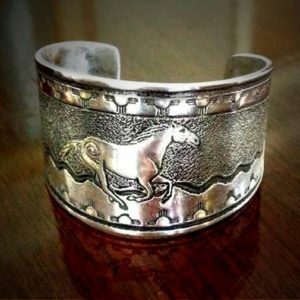 Horse bracelet.The beautifully distinct Arabian Horse’s head sculptured on shiny pewter cuff bracelet, is a fantasy horse indeed. 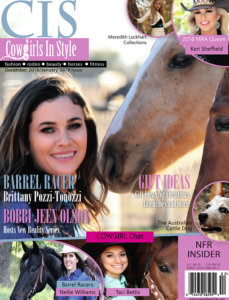 Bold and showy just like the Arabian! 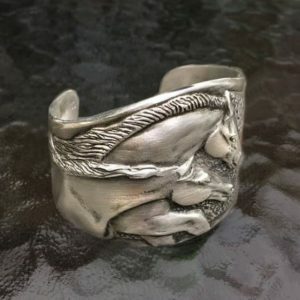 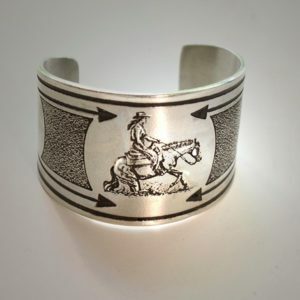 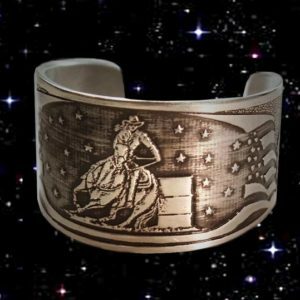 This cuff fits wrist 5 1/2 to 8 inches around and is 1 1/2 inch at its widest tapering to 1 inch on either side. 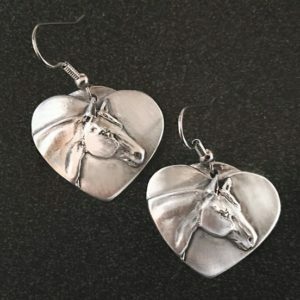 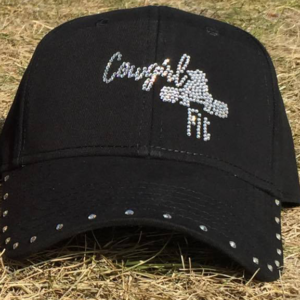 It is hand made in solid pewter of the finest quality.